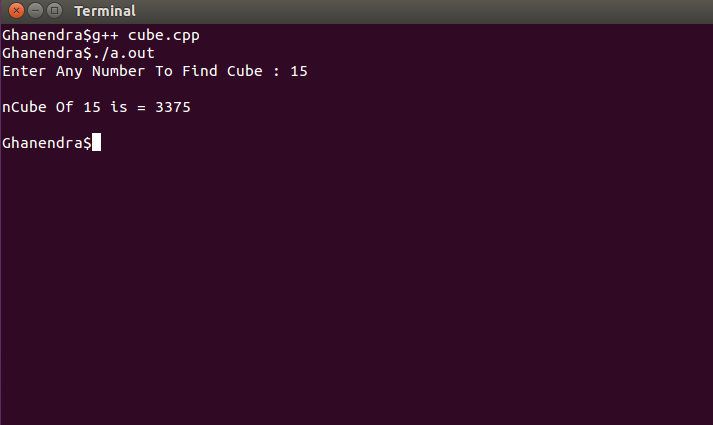 Problem :- Write A C++ Program To Find Cube Of Any Number Using Functions . as you can see that I have taken Two float variable num and cu. in num we store user input and in cu we are taking the final output and printing in console. Don't worry this program is very old when I was beginner in programming this is just a n experiment. Keep visit, Like and Share. I have whatsapp but sorry to inform you I don't use whatsapp for programming related issue. I have some platform where you can join or follow me. I can help you better you can ask me anything related to programming I definitely try to solve your problem. Check These Link and join me. Thanks and keep support by sharing.